Newbury Court, one of the Deaconess Abundant Life Communities, provides health, housing and wellness services for people as they age. 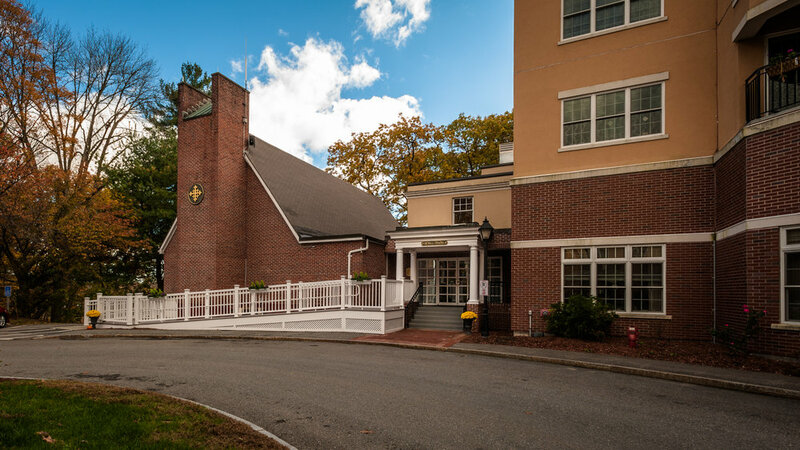 Founded in 1889 as part of the New England Deaconess Association, Newbury Court and other Abundant Life Communities in the greater Boston area provide a range of accommodations and services. Before the Duvall Chapel was built in the late 1960s at the Concord campus, religious services were held in a parlor of the Deaconess House. The chapel itself was completed in 1969 and named for Rev. William H. Duvall, the Executive Director of the New England Deaconess Association from 1959-1972. The stained glass windows, marble altar and stone baptistery were brought from First Methodist Church in Lynn which was being demolished. 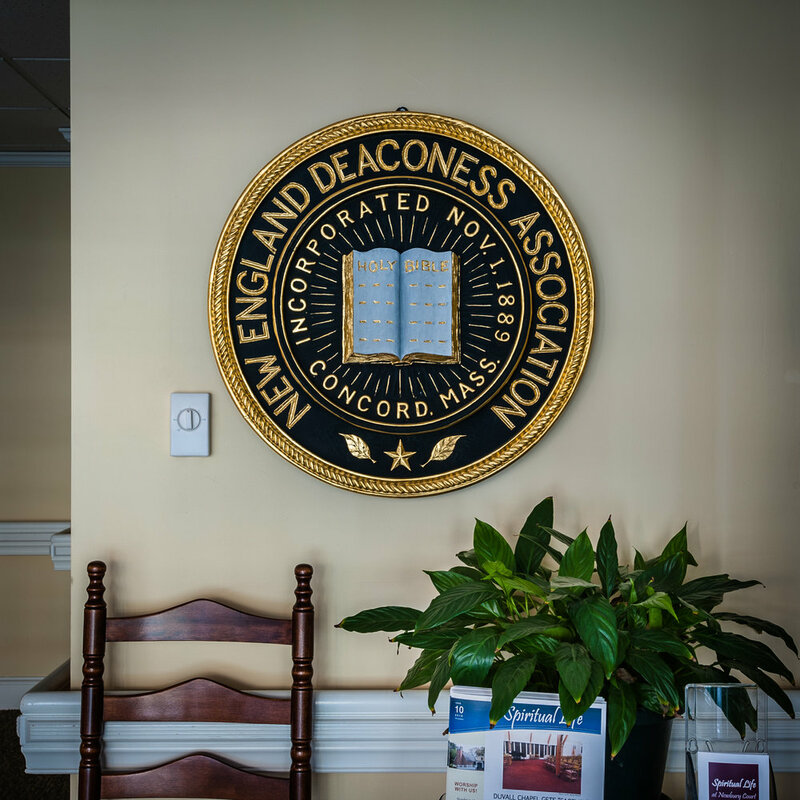 The Lynn Church and many other Methodist Churches in the greater Boston area had been involved with Deaconess movement from the beginning including care and support for the Concord campus. 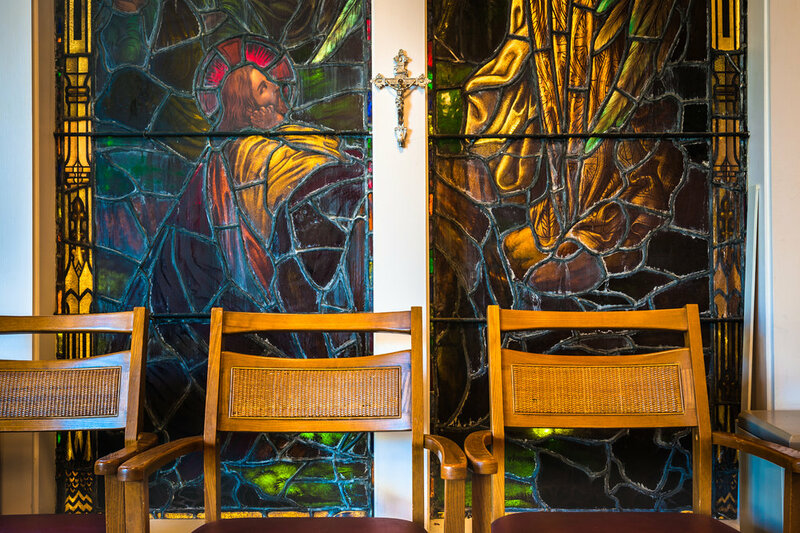 An ecumenical Christian worship service takes place in the chapel on Sundays at 11am for all residents and friends. Members of the community sing in the chapel’s choir. A Catholic communion service is also held on Sunday mornings. Memorial services take place regularly and community groups use the space. 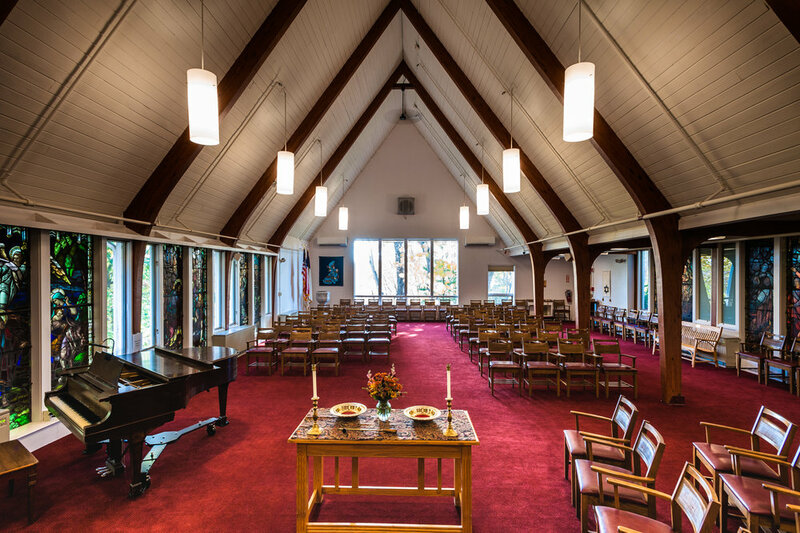 The chapel recently had a much needed facelift with new rugs, new shades, and the installation of a Hearing Loop system that allows visitors with hearing aids to better hear activities in the chapel.